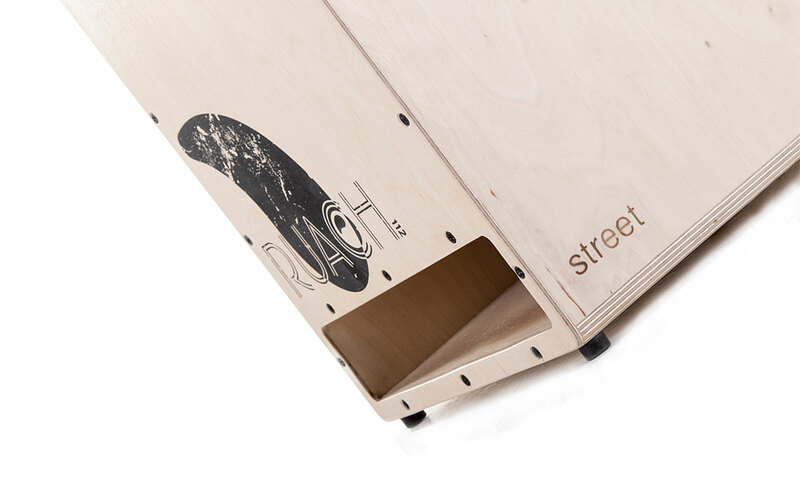 The Street Cajon – inspired by the ever growing community of street musicians and buskers. The front facing sound port coupled with our unique internal design enhances the rich bass, allowing it to permeate even in the noisy outdoors. Here at Ruach we understand that inspiration can be triggered in the most unexpected surroundings. 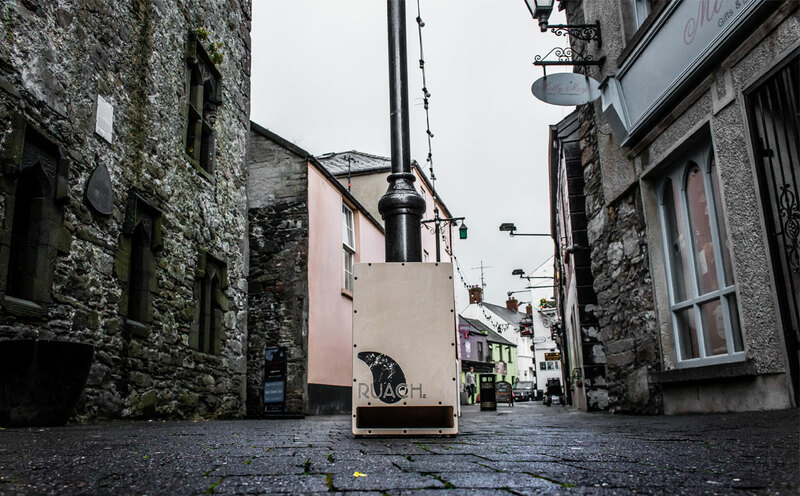 In order to accommodate this we created the Street model, an idea inspired by the ever growing community of street musicians and buskers. The front facing sound port coupled with our unique internal design enhances the rich bass, allowing it to permeate even in the noisy outdoors. The birch wood composition compliments the tonality of the fixed 20 strand snare wires, evening out the bass tones with precise highs and providing a balance across the audio spectrum. 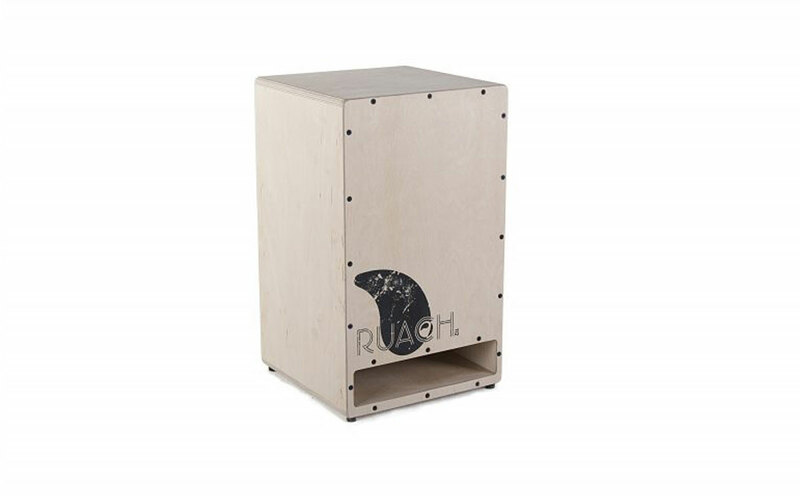 The water resistant body is raised off the ground using rubber feet, ensuring the quality results expected from a Ruach product are now easily attainable outdoors without worry of damaging the cajon. 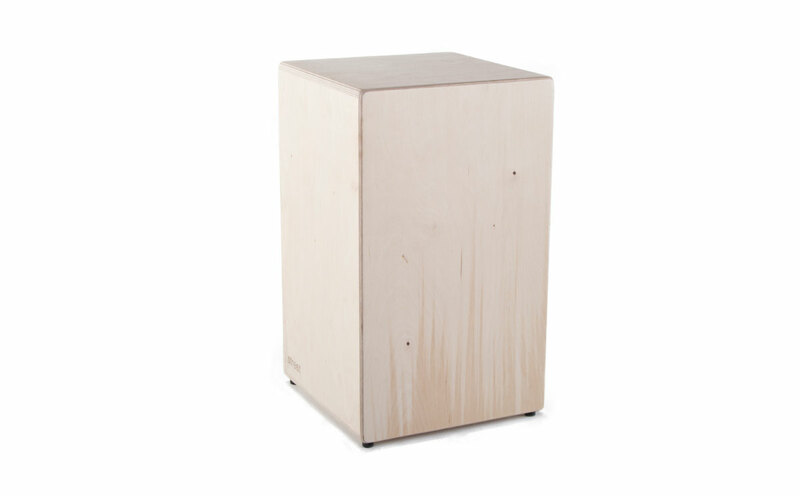 This cajon is ideal for my purposes both indoor, and outdoor! 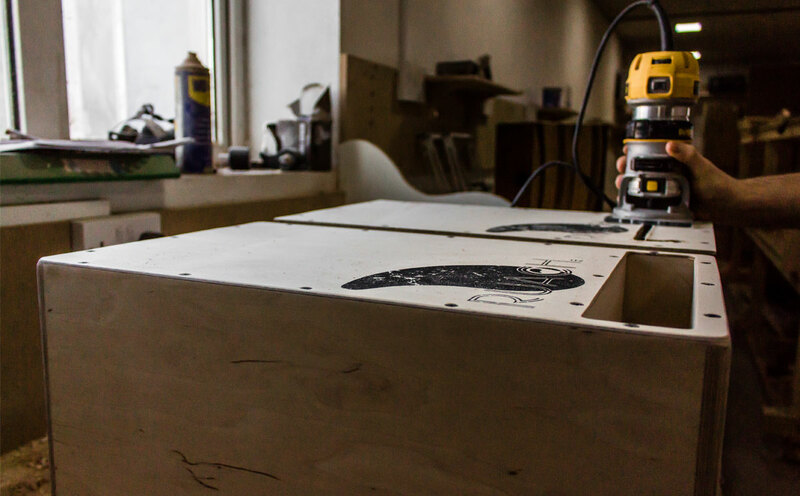 The boom of the bass is really impressive – I haven’t heard a cajon like this one before. What makes this cajon resonate so well? We designed 30 variations of this cajon to find the best configuration of our unique port, and on the 30th try – we hit the jackpot!